This category features monochromatic scarves (i.e. 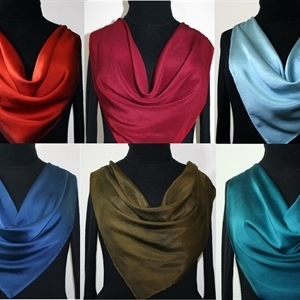 solid scarves in one color only). Please place your order for the general design/color as offered in the shop, and include a message in the "Notes" part about the color you would like your scarf to be. If you have any questions or concerns, please send an email to sales@silkscarvescolorado.com - and we can discuss all details. Thank you!